Up in the air at this time. Maybe Ray Jackson will organize something at Litchfield???? Welcome to the Cummins Good Guys web site! We've gathered some memories for you to enjoy. In addition, you can refer to this web site for information on upcoming events. To navigate around the site just click on the menu on the left side of the web page to go to the area of the web site you would like to visit. You can download any of the photographs to your computer by right clicking your mouse on the photo and selecting "Save Picture As" and indicating where on your computer you'd like to save the photo and what name you'd like to give the file. 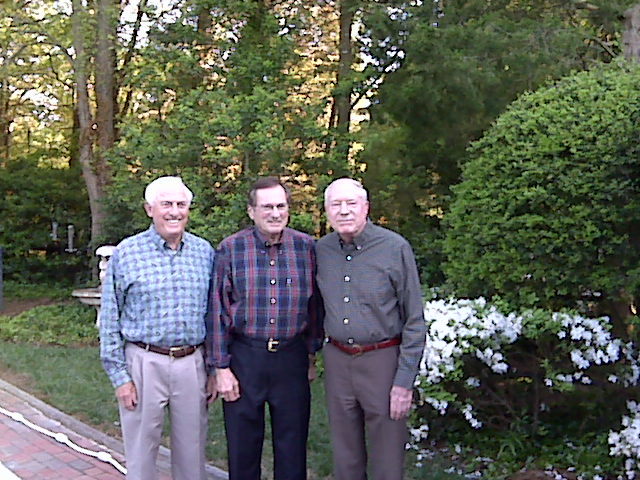 Ray Jackson, Dennis Taylor, and Al Bircher got together recently (April 2009) in Charlotte for a mini-Cummins Good Guys meeting. 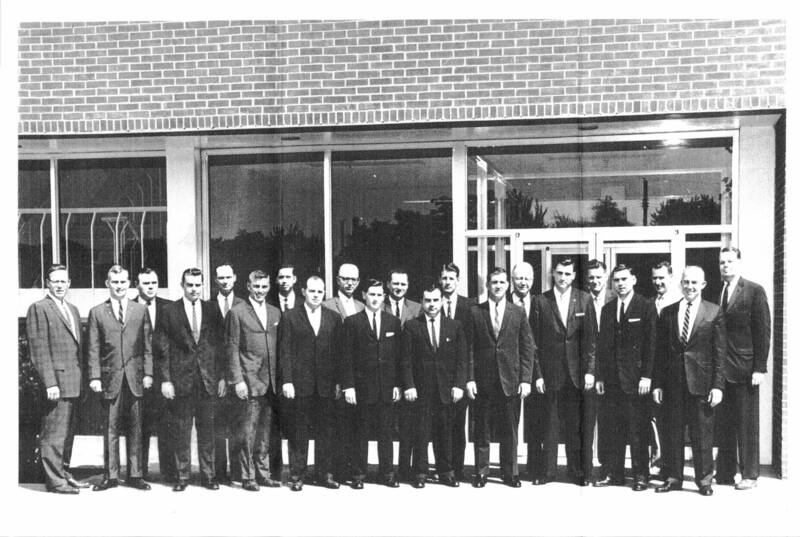 Below is a photo of the Cummins factory Sales organization circa 1960 in front of the main engine plant. Photo courtesy of Dennis Taylor. Feel free to email comments or suggestions regarding the content of this web site.